2. In a small bowl whisk eggs together with remaining wet ingredients. 3. Add wet ingredients to dry and stir gently until combined. Do not over stir. 4. Pour batter by 1/4 cupfuls onto hot griddle coated with cooking spray (I used coconut oil spray) and turn when bubbles form on top. Cook until the second side is golden brown. 5. Stack pancakes on a cookie sheet and keep in a 160 degree oven until all pancakes are done. 6. 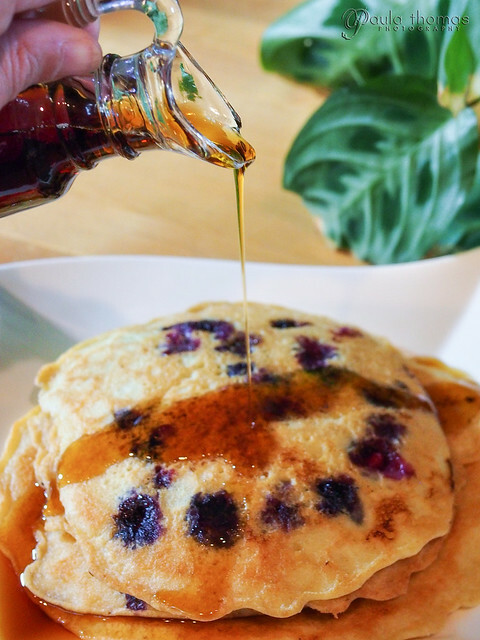 Top pancakes with pure maple syrup and enjoy! Can't wait to try this Paula, thanks!